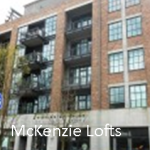 A Portland Lofts and condominium much sought after area The Pearl District formerly occupied by light industry, warehouses and railroad yards and now well known for its art galleries, boutiques, restaurants, upscale businesses and residences. 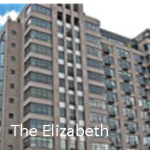 Click on photo to view listings for sale! 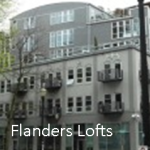 The area has been transformed into a significant Portland condo urban renewal area since the late 1990s, including construction of the Portland Streetcar. 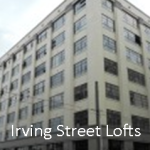 It now mostly consists of high-rise condominiums and warehouse-to-loft conversions. 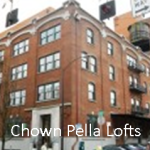 Portland Condos Pearl District Loft Buildings. What is Loft? 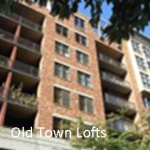 A loft is a type of condominium. 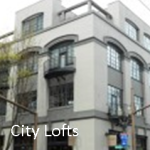 Many lofts referred as “hard lofts” are former industrial buildings converted to residential or live/work use, and “soft lofts”, which are loft-style residential buildings built entirely anew. 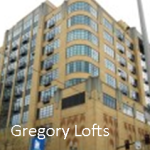 Typically lofts enjoy open floor plans, exposed concrete walls, heating duct work and electrical components. Small spaces feel larger and lighter when used as lofts in contrast to being closed in with walls to create bedrooms and other separate spaces. 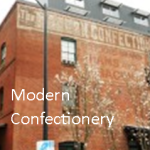 The Pearl District highly sought after area of Portland, Oregon, formerly occupied by light industry, warehouses, and railroad classification yards and now noted for its upscale businesses, art galleries, and residences. 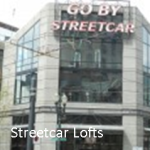 The area has been transformed into a significant urban renewal starting in the late 1990s, including construction of the Portland Streetcar. 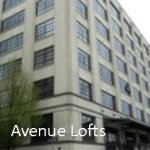 It now mostly consists of high-rise condominiums and warehouse-to-loft conversions. The area is home to several Portland icons, including Powell’s City of Books. The former Weinhard Brewery purchase years ago by Miller Brewing and later sold for redevelopment as the Brewery Blocks. [ Art galleries and institutions (many who stage monthly receptions), boutiques, and restaurants abound, and for a vibrant night life there are numerous clubs and bars. The United States Post Office main processing facility for all of Oregon and southwestern Washington was built in the Pearl District in 1964, next to Union Station. The district includes most of the historic North Park Blocks (1869), as well as two public parks: Jamison Square (810 NW 11th) built around a fountain which simulates a tidal pool enjoy by many especially children that is periodically filled by artificial waterfalls. Tanner Springs Park (NW 10th and Marshall) is a re-created natural area featuring a walking trail, wetlands, and creek. A future dog neighborhood park titled “The Fields” is planned for the Northern part of the Pearl. 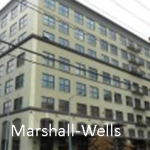 Free wireless internet (provided by Personal Telco) is available in the Pearl District. More than a destination for nightlife and commerce, the Pearl is a complete neighborhood with an abundance of everyday amenities, including grocery stores Whole Foods in the Pearl (NW 12th and Couch); Little Green Grocer at NW 11th and Northrup; Safeway, 1303 NW Lovejoy St), a number of banks, a hardware store such as Ace Pearl Hardware, 1621 NW Glisan St), dry cleaning, and more. 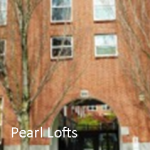 The Pearl also features an array of spas, salons and wellness centers, notably Pearl Pilates Studio (1211 NW Glisan St) and Kanani Pearl Spa (1111 NW Marshall St). For our animal lovers which are many and loved in the Pearl there is the Pearl Animal Hospital (1250 NW 10th Ave). 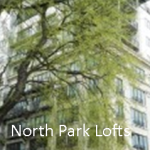 Walkers, bikers, and joggers enjoy using the many paths along Pearl’s North Park Blocks, Downtown’s Tom McCall Waterfront Park and over off of Northwest 23rd Forest Park the nation’s largest park within city limits. 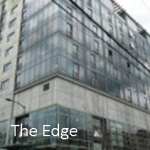 Though known to attract many young urban professionals and empty Nester’s, the Pearl increasingly houses families with young children, to the point where Portland Public Schools has announced plans to open a satellite elementary school in the area. Existing elementary schools in the vicinity include Childpeace Montessori (1516 NW Thurman St), Emerson Charter School (105 NW Park St), and Chapman Elementary (1445 NW 26th Ave). With its high concentration of chic boutiques and restaurants, the Pearl has become a city-wide destination for shopping and dining. In addition to name-brand retail stores like Anthropologie and Diesel, the area features independently owned clothing boutiques like the fabulous, frequently updated selection at Mabel and Zora’s (748 NW 11th Ave) or the simple, posh fashion at Parallel (1022A NW Johnson St). From upscale and minimalist to down-to-earth and eclectic, the Pearl has a wide variety of stylish decor shops; Hive Modern (820 NW Glisan St) is a local favorite. For our book lovers there is our famous Powell Books and for the sport activist, REI. Dining options are many and include classic Italian fare at Mama Mia Trattoria (439 SW 2nd Ave) or tapas at Andina (1314 NW Glisan St). This town’s loves its microbrew, so it’s no surprise that Bridgeport Brewery (1313 NW Marshall St), Deschutes Brewery (210 NW 11th Ave) and Rogue Brewery (1339 NW Flanders St) each have their own brewpub outposts in the area. See also the fantastic wine list at Vino Paradiso (417 NW 10th Ave). Well known for its vibrant arts scene, the Pearl is home to many galleries, some well-established like Elizabeth Leach, others up-and-coming, Igloo, for instance. The galleries stay open late and throw open their doors to the community once a month for First Thursday, a popular Portland institution and the largest of its kind in the Northwest. In addition to the visual arts, one can partake in a performance at Portland Center Stage at the Armory (128 NW 11th) or a show at one of the area’s many clubs such as a jazz destination Jimmy Mak’s (221 NW 10th or Someday Lounge (125 NW 5th).